RS-CIT (Rajasthan State Certificate course in Information Technology) has been recognized by Dept. of Information Technology and Communication (DoIT&C), Govt. of Rajasthan to propagate IT Literacy among the people of Rajasthan. 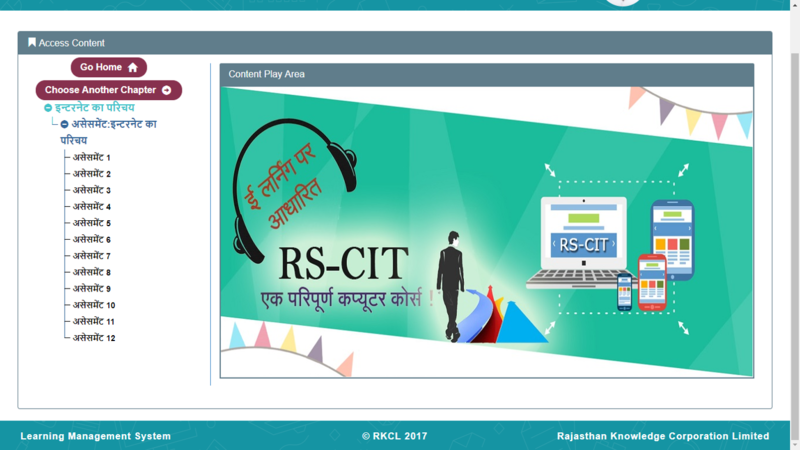 In order to bridge the Digital Divide, RKCL has launched an IT friendly course for the people of Rajasthan. 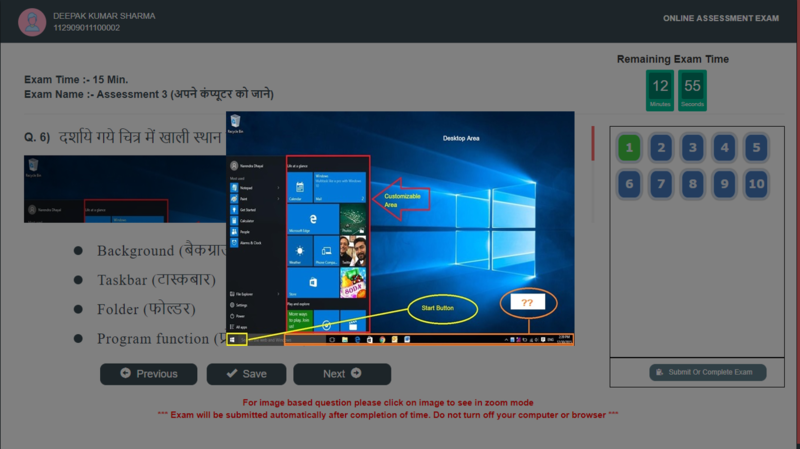 RS-CIT is a high quality and low cost IT literacy program which offers a novel curriculum, excellent study material and learning management system in both local Hindi language and English. A state-of-the-art delivery mechanism leads to State University governed Examination and Certification. To empower citizens with fundamental understanding of Information Technology (I.T.) 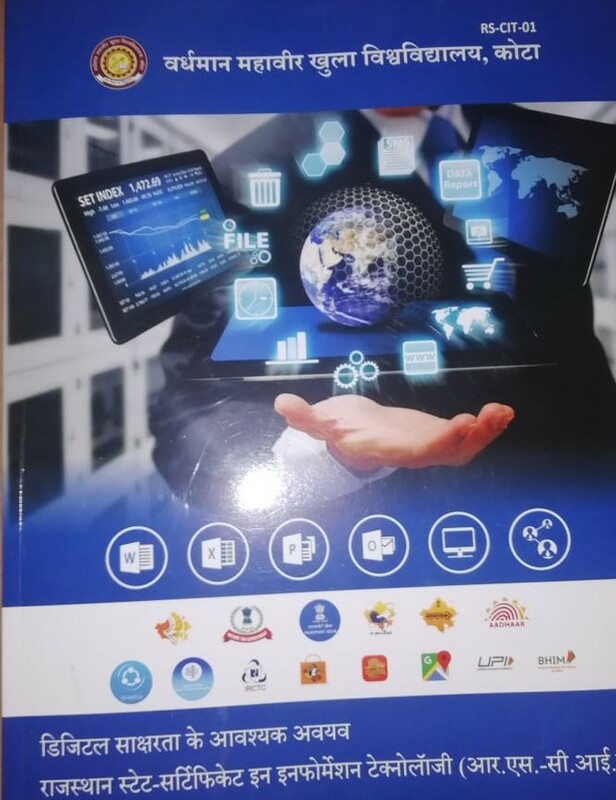 at affordable cost, acquiring essential skills to begin computing with confidence, be more productive at home and work and able to explore career opportunities globally. Course Fees Rs 2850/- only per candidate; however for eligible Govt. Employees, the course fees is Rs 2700/- per candidate only. One comprehensive printed book (Hindi or English) per candidate. 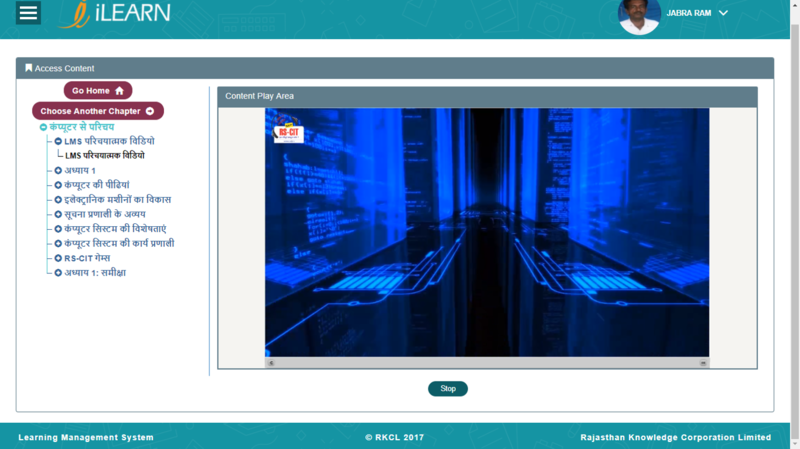 A sample dashboard under Student login is shown below a student has to explore and complete both Content & Assessment.